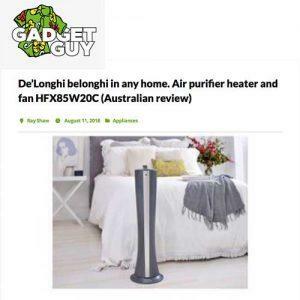 Great review of De’Longhi air purifiers. Several air purifiers from De’Longhi have passed our strict scientific standards and are certified by our asthma & allergy friendly® Certification Program. As a pro for these CERTIFIED air purifiers it is explained it catches allergens including pet dander, dust mites pollen and that it should help hay fever sufferers.